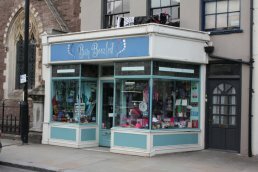 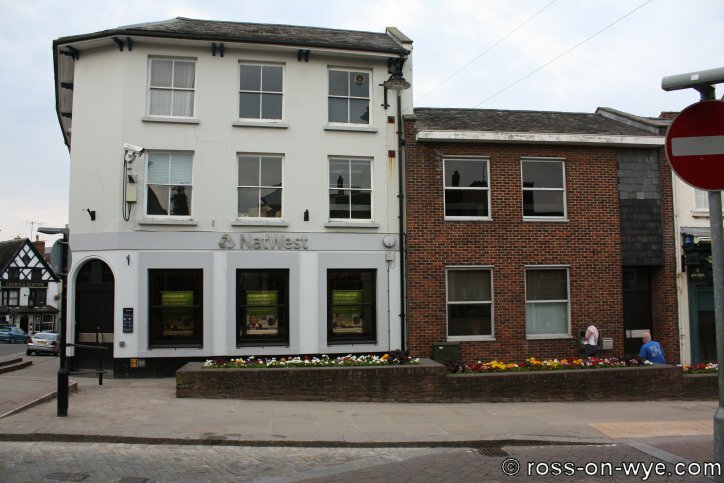 The shops/companies using the buildings is based on adverts from Ross Guide Books (so the dates are based on the estimations of the age of the guidebook) and when, more recently, photos have been taken of the current or recent businesses to use the buildings. 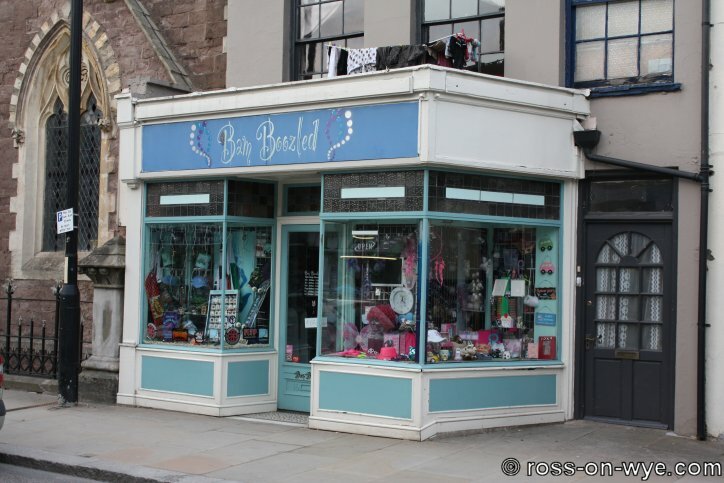 The lists of companies/shops at the addresses is not complete because if they did not advertise then they may not have been identified. 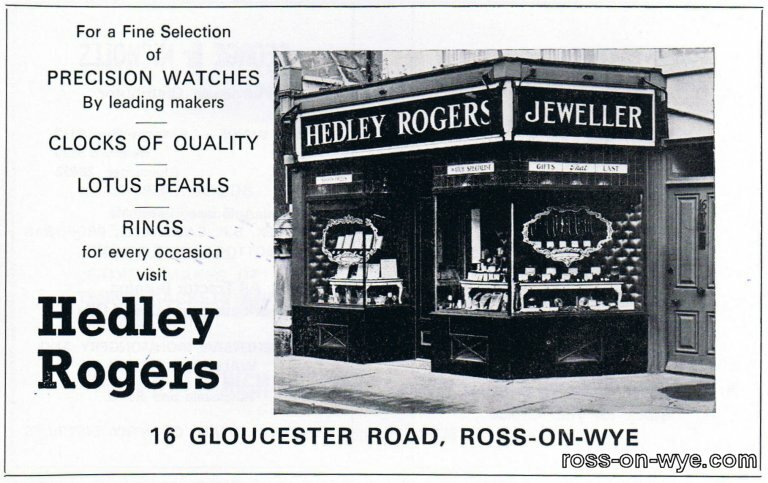 The dates shown indicate when either adverts were noted or photos have been taken rather than when the shop or business opened. This postcard shows J. G. Wall & Son's shop. This was taken during the carnival in around 1920 (early 1900's). 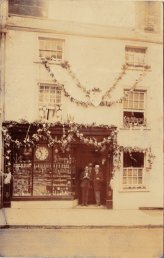 The shop is festooned with paper chains and there is a plaque on the front of the building that was says Help the Hospital. 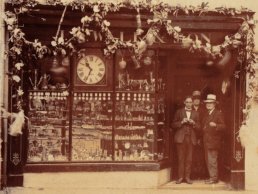 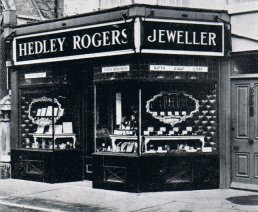 In 1914 John Wall's business is described as Jewellers, silversmiths and opticians2 and in 1923 it has changed very slightly to Watchmaker, jewellers and opticians3. 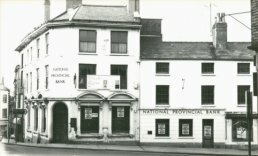 The back of the postcard states that on the step are mother, father and Harry who would be (from left to right) Harry Wall, father [John Wall] and mother [Margaret Wall]. 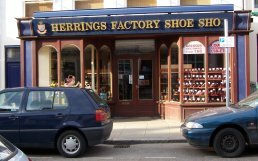 [2006?] 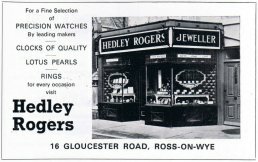 Cheltenham & Gloucester plc. 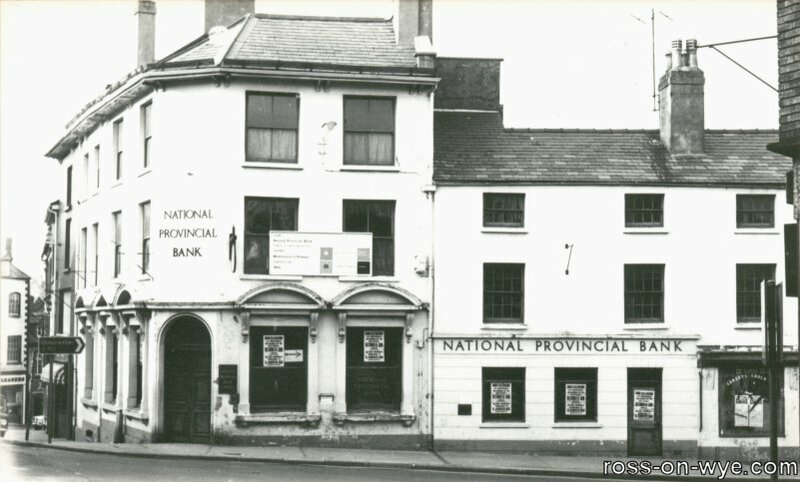 This photo shows Smith's Bakery Shop before it was altered in 1985. 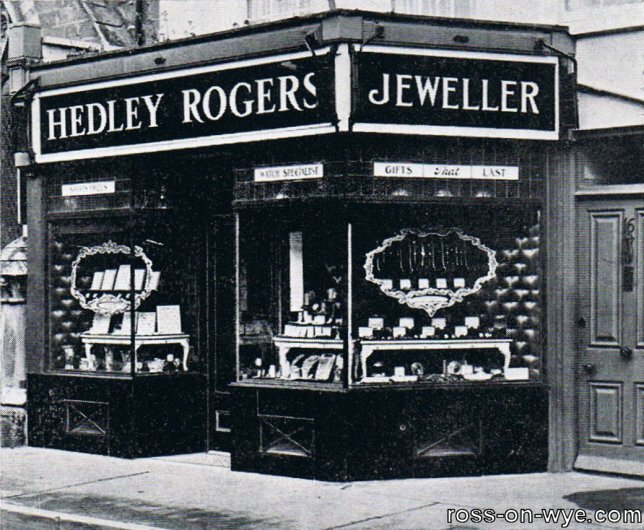 Since before 1923, when E. H. Soles had the shop, this shop was a bakers and confectioners and C. V. Smith expanded the business by having the Cosy Cafe at the back of the shop. 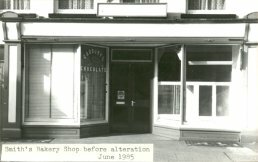 The bakery business continued until 1985 when the shop changed use. 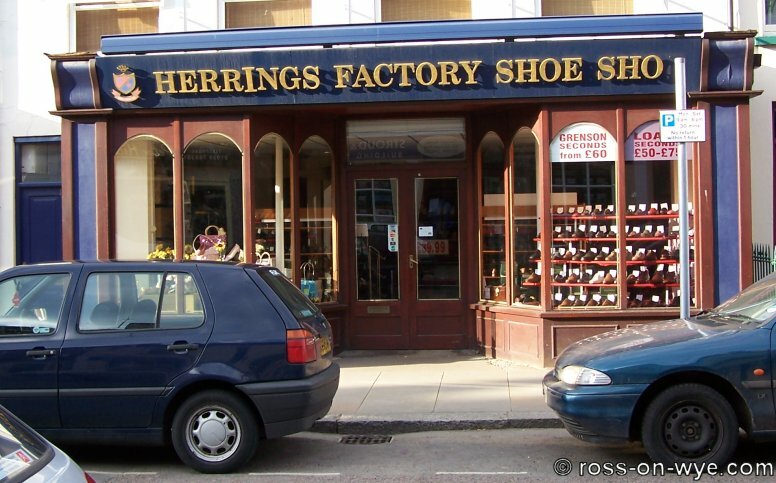 More recently Herrings Shoes took on the shop to sell top quality shoes from English manufacturers such as Barker, Church’s, Cheaney & Loakes.